Get our top stories by email. The birthplace of the atomic bomb couldn’t account for a toxic metal used in nuclear weapons production, potentially exposing workers to harm. The National Nuclear Security Administration acknowledges its oversight was “insufficient,” but says it is not aware of any workers who were exposed. 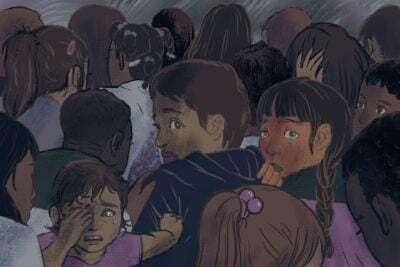 This article was produced in partnership with The Santa Fe New Mexican, which is a member of the ProPublica Local Reporting Network. Los Alamos National Laboratory has failed to keep track of a toxic metal used in nuclear weapons production, potentially exposing workers to serious health consequences, a federal watchdog has found. The New Mexico lab’s failure to adequately track beryllium — small amounts of which can cause lung disease and cancer — violates federal regulations put in place to prevent worker overexposure, according to a report last week from the Department of Energy’s inspector general. This story is part of ProPublica’s Local Reporting Network, an initiative supporting seven local and regional newsrooms this year as they work on important investigative projects affecting their communities. The topics include conflicts of interest, housing, mental health care, criminal justice and workplace safety. Read more about the journalists we’re collaborating with. The report is the latest example of serious workplace safety violations that have occurred at Los Alamos — which gave birth to the atomic bomb during World War II — including radioactive contamination and other injuries to workers. In October, for example, an independent federal safety board said the lab was ill equipped to respond to emergencies and found recurring flaws in emergency preparedness dating back to 2011. Soon after, the Department of Energy launched an investigation following a “near-miss” incident in which a worker responded to an alarm and entered an oxygen-deprived room, which could have resulted in asphyxiation. This year, The Santa Fe New Mexican and ProPublica are examining workplace safety issues at Los Alamos and other national laboratories that develop nuclear weapons for the Department of Energy. In a response included in the inspector general report, the National Nuclear Security Administration, which oversees numerous lab programs, including nuclear facilities, national security, radioactive waste and safety, said it is not aware of any workers who have been exposed to beryllium as a result of the deficiencies identified by the inspector general. 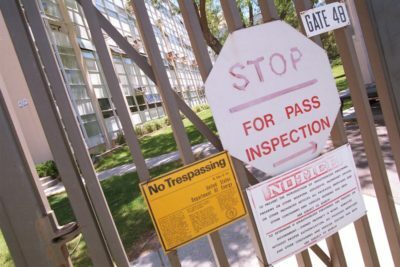 In addition, the agency’s Los Alamos field office told the inspector general that oversight was “insufficient” because of staffing issues as well as the number of health and safety programs it is responsible for overseeing at the lab, which employs more than 11,000 workers. “We are committed to the improvement of our Beryllium program at Los Alamos National Laboratory and are addressing the recommendations outlined in the Inspector General’s report,” Matt Nerzig, chief spokesman for the Los Alamos lab, said Friday in an email. The latest report from the inspector general found longstanding issues in the lab’s record-keeping involving the Energy Department’s Chronic Beryllium Disease Prevention Program, established in 1999. The lab did not keep a proper inventory of the amount of beryllium on site, it found, and could not assure contaminated areas were safe before allowing work to continue. Beryllium is used in the production of a variety of items, from cellphones to nuclear weapons. A lightweight, silvery metal, its strength and ability to hold high temperatures are valued by manufacturers. 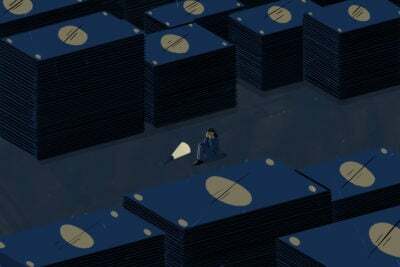 But when inhaled, even small quantities of the fine dust can settle into the lungs — scarring tissue and potentially leading to chronic beryllium disease and lung cancer. The disease, whose symptoms include a persistent cough and shortness of breath, can appear soon after exposure or take up to a decade or more to show up, according to the Cleveland Clinic and the Centers for Disease Control and Prevention. Over the last decade, the inspector general has found issues with beryllium protections at Oak Ridge National Laboratory and Y-12 National Security Complex in Tennessee and Lawrence Livermore National Laboratory in California. Los Alamos has shared contractors with both Lawrence Livermore and Y-12. According to the report, Los Alamos couldn’t account for the dangerous metal on a number of occasions, including misplacing beryllium-contaminated equipment and a beryllium container (which couldn’t be located at the time of the report). 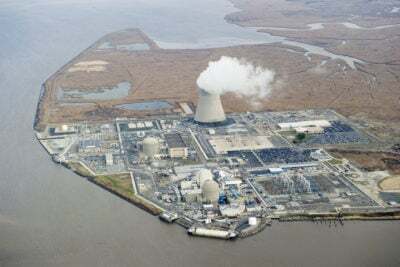 The report also found that the lab had not completed hazard assessment documents, informing workers of the risks, at sites where more than 50 percent of the beryllium inventory was located. Many of the discrepancies identified by the inspector general were actually the result of a new policy put in place by the lab in 2016 to correct problems with beryllium monitoring identified by the lab’s own Occupational Safety and Health Division the year before. That policy “reduced or eliminated” many of the beryllium protection program requirements. An industrial hygienist for the lab told the inspector general’s staff that some requirements were changed to reduce the amount of sampling required in order to meet deadlines. But the National Nuclear Security Administration’s Los Alamos Field Office never approved the policy, as it should have. Problems with beryllium oversight at the lab date back years. In January 2009, the laboratory informed nearly 1,900 lab workers and visitors that they had potentially been exposed to beryllium, after the metal was discovered on several surfaces at one of the lab’s technical areas. The incident came a few years after large quantities of beryllium contamination were discovered coating floors in a warehouse regularly used by workers. In 2011, the Department of Energy asked officials at Los Alamos and other lab sites to answer nearly a dozen questions regarding how beryllium monitoring and protection practices could be improved. Los Alamos agreed to further restrict the amount of beryllium that workers could be exposed to. But at the same time, the lab rejected the most-stringent standard and said it did not want to incur the costs of the most-sophisticated type of monitoring. The inspector general report found the lab was not able to ensure with a high level of confidence that exposure was within the safe limit. Workers’ advocates said they were discouraged to see Los Alamos still having such significant problems with beryllium protections. “It’s a very serious issue, and I was disappointed that there are still problems at Los Alamos,” said Terrie Barrie, a longtime advocate with the Alliance of Nuclear Workers Advocacy Groups, which has been fighting for compensation for injured and sick workers for nearly two decades. Beryllium has been present at the laboratory since the early 1940s, but large-scale manufacturing of beryllium began in Los Alamos in 1993, after the closure of the Rocky Flats facility in Colorado, where vast quantities of plutonium pits were produced throughout the Cold War, creating extensive environmental contamination and worker exposure issues. When manufacturing plutonium pits — the softball-sized fission triggers that ignite nuclear bombs — beryllium is used to surround the pit in a shell, or “skull,” that reflects neutrons to contain the critical mass of the bomb and increase the force of the explosion. It has also been used in numerous explosives tests at the lab. Los Alamos has been creating pits since the 1990s, but has had several work pauses as a result of serious safety issues and insufficient staffing. Some members of Congress have asked the nuclear security administration to provide further assurances of lab safety before work continued. 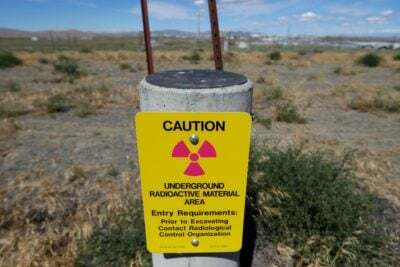 In April 2015, safety officials listed beryllium hazards as among the problems preventing work on pits from restarting at the plutonium facility, following a three-year pause caused by a host of other workplace safety issues. And while the 2018 report focused on inaccuracies in beryllium inventories through 2016, issues have persisted. As recently as October 2017, work paused at one of the lab’s waste facilities after a radioactive waste drum was unexpectedly found to contain beryllium, according to a report from the Defense Nuclear Facilities Safety Board, an independent advisory board that reports to Energy Secretary Rick Perry. Do you work or have you worked at Los Alamos? We’d like to hear from you. Email [email protected]. Rebecca Moss covers energy and the environment, including Los Alamos National Laboratory, for The Santa Fe New Mexican. Email her at [email protected] and follow her on Twitter @rebeccakmoss.